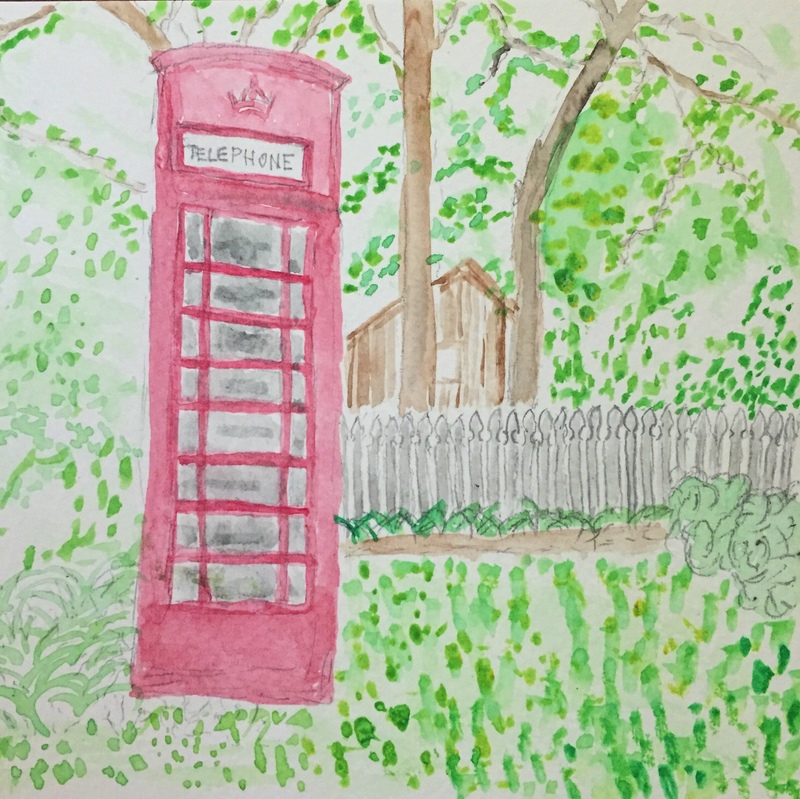 Y’all, I’ve been walking in the early mornings and I found a red UK phone booth in a yard in my neighborhood. Right here in North Little Rock, Arkansas. Isn’t that crazy? I painted it as part of trying to stretch my creative muscles in a new way for Candace’s Moment Sketchers project. So fun. I started a personal yoga challenge for myself this month. I’m attending classes all around the Little Rock area as I continue to work through my teacher training. I’ll finish training in August, but I have a lot more practice teaching to do so I’ve got my sons being my guinea pigs. They’ve been great sports. It’s summer, so I’m begging my kids to read instead of play video games. Which is probably why I enjoyed this piece about why we need readers. I’ve also been exploring Marshall Rosenberg’s Nonviolent Communication, both the book and on YouTube. It’s kind of making my head explode. My dear friend, Amy, celebrated the finish of her PhD in Theology by walking the West Highland Way, and she wrote this beautiful piece about her journey. It made me miss Scotland for sure. Other than that, I’m hanging at the pool as often as the boys will go. Our summer routine: Walk + Yoga + Work + Lunch + Pool. I do love me some hot Arkansas summer. PS. We sang this song in the choir yesterday and it’s the most fun! Love reading your inspiring words! You motivate me….I am going to read more!